It’s time to raise the bar – a tiki bar, that is! 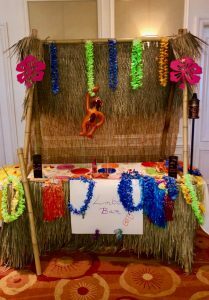 Teams will do their best to transform an ordinary classroom table into a tiki bar! 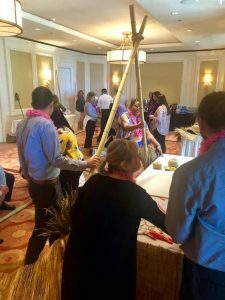 Teams have a few items on their table to create their tiki bars, such as bamboo poles, rolled bamboo fencing, thatch panels, abaca matting and natural reed fencing. 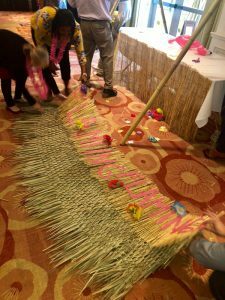 They can also visit “the store” to purchase additional items they want to create their own tiki hut, such as grass skirting, floral décor, tiki masks, tissue paper to make tissue paper flowers, etc. They earn the money to spend at the store by participating in a round of Tiki Trivia – the better they are, the more coins they can add to their initial stash! 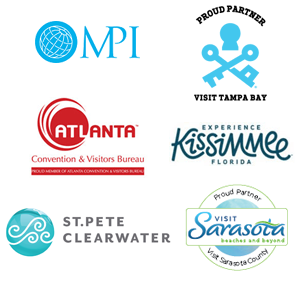 Every tiki bar has to attract people to visit it, so teams must also name their bar and put together a commercial advertising what makes their tiki bar special! Usually, island time is laid back, but not during this competition! 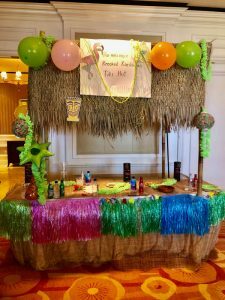 Teams must be ready by a set time to present their tiki bar. A group of VIPs can be the judges or everyone in the group can have a vote – they just can’t vote for their own creation! The votes are tallied and then it’s time to reveal the winning team, who comes on stage to receive their award medals on tropical-colored neck straps. 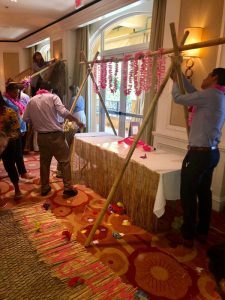 Raise The Tiki Bar – take a “shot” at this team building event and you won’t be disappointed!